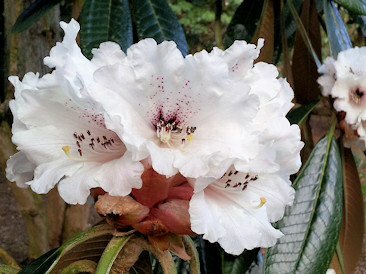 Spring flowering starts early in Cornwall and nowhere more so than at the Lost Gardens of Heligan, where camellias, magnolias and rhododendrons are in full bloom from February. In the 19th and early 20th century Heligan was typical of many country estates of that time. Owned by the Tremayne family for 400 years, it comprised of main house, ancillary buildings, barns, stables, mill and estate workers cottages. The land, around 1,000 acres in total (400 hectares), included formal, ornamental and productive gardens with parkland grazing beyond. 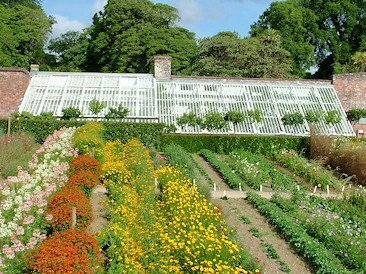 The estate was self-sufficient in most of its needs, including fruit, vegetables and flowers. The First World War changed all of that. Across Britain men left country estates to fight for 'King and Country', millions did not return and by 1919 the country's coffers were exhausted by the war effort. Lack of manpower, money and a wish by the working classes for something better than before, meant that the country estate way of life, which had changed little in centuries, was in decline. At Heligan much of the estate and in particular the gardens fell into disrepair. That is until February 16th 1990 when Tim Smit entered the garden, initially in search of a site to establish a rare animal breed farm and then realised Heligan's potential for a garden restoration. The rest as they say is history. Today Heligan offers the chance to see 200 acres (80 hectares) of superbly restored estate gardens which effectively and accurately turn the clock back over 100 years. To the north of the main house are the restored productive gardens. Here you will find glasshouses for grapes, peaches, bananas and melons, also pineapple pits that are once again producing pineapples just as they would have done during the reign of Queen Victoria. In the vegetable garden uniform rows of celeriac, chard, Jerusalem artichokes, globe artichokes, cabbage, asparagus and old varieties of potato all thrive beneath liberal applications of seaweed collected from the nearby Cornish coast. A soft fruit garden, Cornish apple orchard, cut flower garden, tool and potting sheds are also here to be explored. 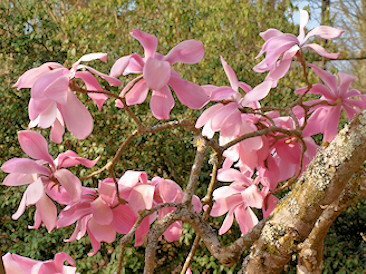 This is however only half of the story for there is also the restored Victorian pleasure grounds where massive 'Cornish Red' rhododendrons and tender shrubs such as Cornus capitata the Himalayan flowering dogwood, abound. The Italian Garden, 'New Zealand' and Flora's Green all add to the story. Last but not least is The Jungle and Lost Valley, a sub-tropical paradise full of ferns, foliage and large leaved exotics all accessed by a series of boardwalks. Heligan is a demonstration of horticultural archaeology at its very best.